You'll explore the less-touristy side of things at Centro Storico Associazione Centro Storico and San Pietro in Vincoli. Get some cultural insight at Citta del Vaticano and Ostia Antica. Go for a jaunt from Rome to Tivoli to see Villa d'Este about 48 minutes away. Next up on the itinerary: take in the architecture and atmosphere at Church of St. Louis of the French, delve into the distant past at Foro di Augusto, steep yourself in history at Santa Maria in Trastevere, and explore the galleries of Le Domus Romane di Palazzo Valentini. 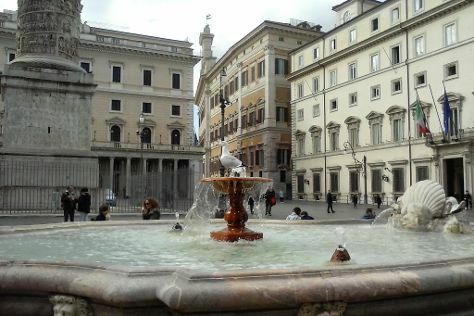 To see traveler tips, more things to do, other places to visit, and tourist information, refer to the Rome trip planner. Bangkok, Thailand to Rome is an approximately 15-hour combination of train and flight. The time zone changes from Indochina Time (ICT) to Central European Time (CET), which is usually a -6 hour difference. Traveling from Bangkok in November, expect Rome to be much colder, temps between 20°C and 10°C. Finish up your sightseeing early on the 19th (Sun) so you can go by car to Assisi. Your cultural itinerary includes sights like Basilica di Santa Chiara and San Damiano. 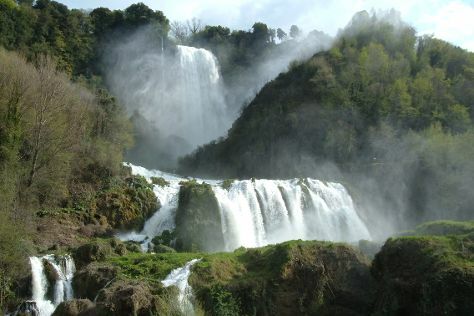 You'll explore the less-touristy side of things at Cascata delle Marmore and Cattedrale di Santa Maria Assunta Spoleto. Change things up with these side-trips from Assisi: Grotte di Frasassi (in Genga) and Museo della Carta e della Filigrana (in Fabriano). 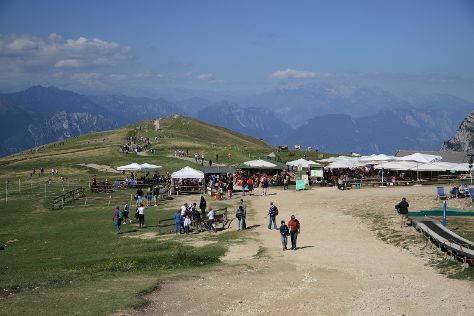 There's still lots to do: contemplate in the serene atmosphere at Santa Maria degli Angeli, steep yourself in history at Eremo delle Carceri, and take in the awesome beauty at Monte Subasio. For traveler tips, reviews, ratings, and tourist information, go to the Assisi trip generator. Drive from Rome to Assisi in 2.5 hours. Alternatively, you can take a train; or take a bus. Prepare for little chillier weather when traveling from Rome in November: high temperatures in Assisi hover around 16°C and lows are around 7°C. Finish your sightseeing early on the 22nd (Wed) to allow enough time to drive to Florence. 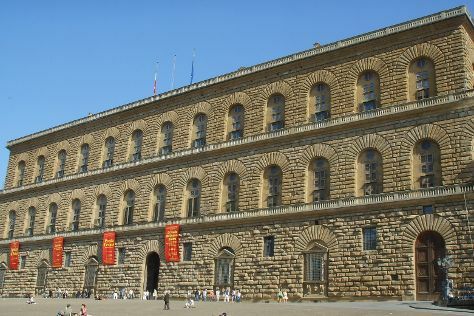 Kick off your visit on the 23rd (Thu): take some stellar pictures from Abbazia di San Miniato al Monte, examine the collection at Museo di San Marco, take an in-depth tour of Museum of Opera of Saint Maria of Fiore, then explore the world behind art at Pitti Palace, and finally admire the landmark architecture of Loggia dei Lanzi. Here are some ideas for day two: indulge in some culinary diversions at a local gastronomic tour, then take in the architecture and atmosphere at Basilica of Santa Maria Novella, then get a sense of history and politics at Museo Nazionale del Bargello, and finally admire the landmark architecture of The Baptistery of St. John. To see more things to do, traveler tips, other places to visit, and other tourist information, use the Florence trip itinerary planner. Traveling by car from Assisi to Florence takes 2 hours. Alternatively, you can take a train; or take a bus. In November, plan for daily highs up to 19°C, and evening lows to 10°C. Wrap up your sightseeing on the 25th (Sat) to allow time to take a train to Verona. Get in touch with nature at Mountbaldo and Lago di Garda. Explore hidden gems such as Piazza Bra and Basilica di San Zeno Maggiore. Venture out of the city with trips to Castello Scaligero di Malcesine (in Malcesine) and Palazzo Te (in Mantua). There's still lots to do: admire the masterpieces at Castelvecchio Museum and take in the spiritual surroundings of Chiesa di Sant'Anastasia. For traveler tips, other places to visit, reviews, and more tourist information, you can read our Verona vacation builder. Traveling by train from Florence to Verona takes 1.5 hours. Alternatively, you can drive; or take a bus. Traveling from Florence in November, things will get slightly colder in Verona: highs are around 15°C and lows about 6°C. Finish up your sightseeing early on the 28th (Tue) so you can catch the train to Venice. Kick off your visit on the 28th (Tue): contemplate the long history of Scuola Grande di San Rocco, take a stroll through Cannaregio, then take in the spiritual surroundings of Basilica di Sant’Antonio - Basilica del Santo, and finally contemplate in the serene atmosphere at Scrovegni Chapel. Get ready for a full day of sightseeing on the next day: steep yourself in history at San Giorgio Maggiore, head off the coast to Isola di Burano, steep yourself in history at Ponte dei Sospiri, don't miss a visit to Scala Contarini del Bovolo, then pause for some serene contemplation at Basilica di Santa Maria della Salute, and finally contemplate the long history of Squero di San Trovaso. To see where to stay, ratings, more things to do, and other tourist information, read Venice vacation trip planner. You can take a train from Verona to Venice in 1.5 hours. Other options are to drive; or take a bus. Expect a daytime high around 16°C in November, and nighttime lows around 7°C. Finish your sightseeing early on the 29th (Wed) to allow enough time to travel back home.